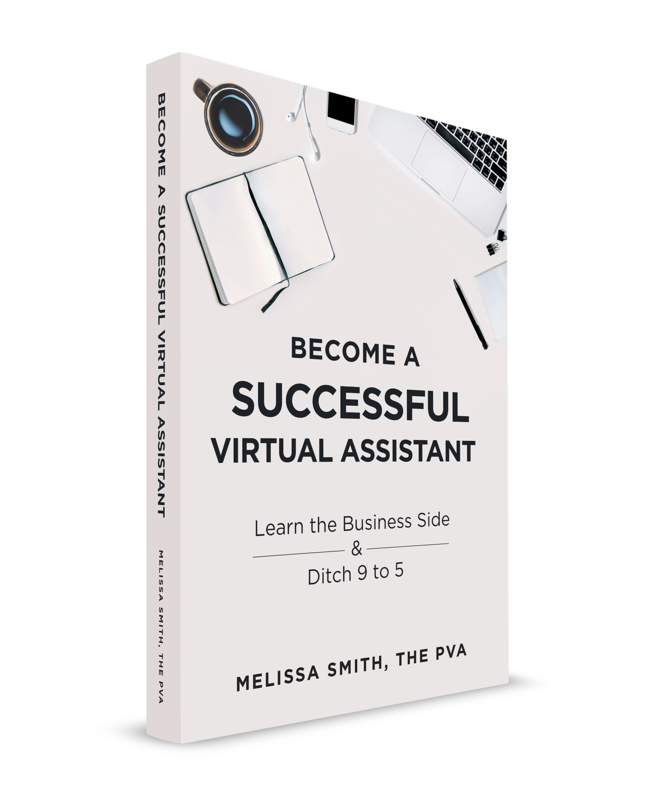 “Become A Successful Virtual Assistant” is the bestselling book that teaches you exactly what it says. It is a complete guidebook, with complimentary workbook, which breaks down the process of determining who your clients are, your niche, pricing, sales, consultations, networking, client relationships, growing your business and so much more! You’ll not only find it easy to read but with the workbook, you’ll be able to create actionable steps for yourself and journal your progress. “Become A Successful Assistant” will also serve as a reference guide for you. I wish I’d read this book two years ago… “When I decided to come out of early retirement I knew that I wanted to do something different than work the traditional 9-5. Back then, I didn’t know what a virtual assistant was, or even that it was possible to work from home for a traditional company. Then a friend pointed me to an online article about the changing nature of the workforce and I knew right then and there that working remotely was right for me. An amazing resource! “For the past several months I’ve thought about becoming a VA on the side. I’ve even done some training. So I feel like I came to this book with some background. I LOVED this book! First of all, it’s written in a conversational, down-to-earth style that’s easy to follow and understand. Don’t let that fool you, though. It’s as full of facts and important points as any college textbook. There is so much in here about so many stages of business, this book will be a great reference for years to come. Secondly, it’s laid out in a very organized way that touches on all aspects of establishing, growing, and maintaining a successful business. It’s awesome! But what I appreciated most was the practicality. Never does the author paint the world of the VA as a perfect place. She addresses the pitfalls and challenges as honestly as she addresses the positive. To me, that makes the book a far better preparation for the real world since it lets you know what might be coming and what you could possibly avoid with some planning. The reference section at the end is amazing, too. I highly recommend this book to anyone who is thinking about becoming – or who has recently become- a virtual assistant. Even if you have had other training, you will find a lot of practical tips and advice in this book.” – Kim A. What an amazing book! “I’ve been working as a VA for several years now, and am looking to expand my business. Luckily this book came along at the perfect time. The author touches on several areas that I struggle with- finding your niche, which services to offer and how to price your services. She has a successful business of her own, and draws extensively on this experience to explain strategies that work and those to avoid. She writes in a highly engaging personal style, weaving stories from her travels throughout the book. I love that such an informative book is so enjoyable to read! This book has given me the confidence to move forward with expanding my business, and I highly recommend it to anyone looking to establish a new VA business or grow an existing business. This book is a must-read!” – Susie B.